Mike is the head of the Tax and Estates Department of Salvo Rogers. He has over 20 years of experience advising clients on a wide variety of tax, estate and business matters. He was a member of the Tax Department of Arthur Young & Company (now Ernst & Young, LLP) for several years, and was a Vice President and Tax Manager with Butcher & Company in Philadelphia. 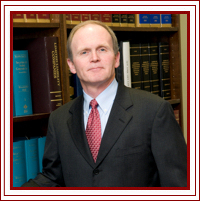 He has been a shareholder of several Philadelphia area law firms, specializing in Tax and Estate Planning. He is a frequent lecturer for continuing education programs for attorneys, accountants and financial advisors, and has had many articles published. Mike is also a Certified Public Accountant (inactive license). Temple University School of Law, Philadelphia, Pennsylvania, 1983, J.D. Drexel University, Philadelphia, Pennsylvania, 1978, M.B.A.
Drexel University, Philadelphia, Pennsylvania, 1976, B.S.